Oxford Gene Technology (OGT), The Molecular Genetics Company, today announced that it has signed an agreement to be acquired by Sysmex Corporation (Sysmex), a Japanese in vitro diagnostic company. The time needed to genetically sequence the bacteria causing tuberculosis (Mtb) from patient samples has been reduced from weeks to days using a new technique developed by a UCL-led team. Oxford Gene Technology (OGT), The Molecular Genetics Company, has teamed up with clinical research experts in a new article available online, discussing the role of next generation sequencing (NGS) in cancer medicine. Oxford Gene Technology (OGT), The Molecular Genetics Company, has announced the launch of a new high-resolution, high-throughput pre-implantation genetic screening (PGS) microarray aimed at improving embryo screening for in vitro fertilisation (IVF). The CytoSure™ Embryo Screen Array offers eight arrays of 60,000 spots for high-resolution genome-wide aneuploidy and copy number detection in pre-implantation embryos. The microarray can screen up to 14 embryos on a single slide, which is particularly useful in embryo banking — a common procedure for advanced maternal age samples — enabling the confident identification of the best embryo for implantation. 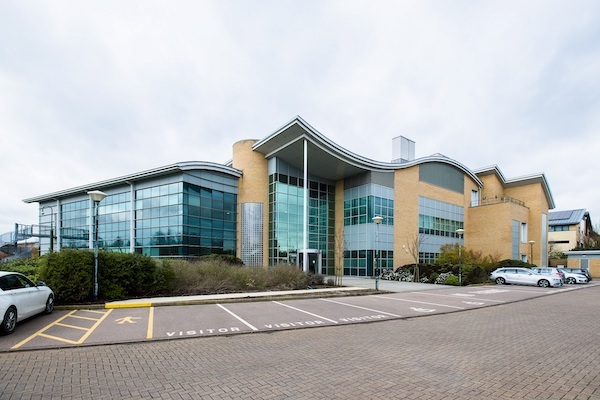 Oxford Gene Technology (OGT), The Molecular Genetics Company, has announced that following its acquisition of Cytocell in March, it will directly sell Cytocell products to the North American market. Oxford Gene Technology (OGT), The Molecular Genetics Company, has released a new application note detailing the technical evaluation of two DNA labelling kits, where OGT’s CytoSure Genomic DNA Labelling Kits were found to be quicker and more accurate than a leading alternative. Oxford Gene Technology (OGT), The Molecular Genetics Company, has produced a new whitepaper titled ‘Comprehensive genomic analysis – complementing sequencing with high-resolution CNV detection’. Oxford Gene Technology (OGT), provider of innovative genetics research and biomarker solutions to advance molecular medicine, has produced a new, free-to-download application note on combined array comparative genomic hybridisation (aCGH) and single nucleotide polymorphism (SNP) arrays. OGT Awarded ISO/IEC 17025:2005 Accreditation, Signifying Technical Expertise Mar 10, 2011 Oxford Gene Technology (OGT), provider of innovative clinical genetics and diagnostic solutions to advance molecular medicine, today announced that its GenefficiencyTM and CytoSureTM array comparative genomic hybridization (aCGH) services have been accredited as meeting ISO/IEC 17025:2005 international standards by the United Kingdom Accreditation Service (UKAS). The award underlines the superior level of expertise and quality control in the company's laboratories and allows identification of OGT as a high-quality supplier of fully validated aCGH services. OGT expands CytoSure aCGH product range Feb 23, 2011 Oxford Gene Technology (OGT), provider of innovative clinical genetics and diagnostic solutions to advance molecular medicine, has expanded its CytoSureTM product range to include high-throughput genomic DNA labelling kits and sample tracking spike-ins. These new products will further streamline workflow and minimise sample tracking errors when performing array comparative genomic hybridisation (aCGH). OGT Announces Major Role in Large Scale Diabetes Study Dec 2, 2010 Oxford Gene Technology (OGT), provider of innovative clinical genetics and diagnostic solutions to advance molecular medicine, has today announced details of a major project with the University of Virginia Center for Public Health Genomics. In a groundbreaking study, Professor Stephen Rich, Director of the centre, will utilise OGT's GenefficiencyTM aCGH microarray screening service to investigate the relationship between genome structural variation and susceptibility to type 1 (T1) diabetes. OGT Presents Promising Prostate Cancer Biomarker Panel Results at AACR Oct 1, 2010 Oxford Gene Technology (OGT), provider of innovative clinical genetics and diagnostic solutions to advance molecular medicine, has presented potentially highly significant, preliminary data on the development of a panel of biomarkers for the diagnosis of prostate cancer. In the pilot study, a set of biomarkers was identified which can distinguish prostate cancer from control samples with both sensitivity and specificity above 90%, far higher than existing diagnostic tests. OGT Receives ISO/IEC 27001:2005 Accreditation Sep 15, 2010 Oxford Gene Technology (OGT), provider of innovative clinical genetics and diagnostic solutions to advance molecular medicine, today announced that it has been certified compliant with ISO/IEC 27001:2005, an international information security management standard. OGT Introduces Unique CNV Array with Whole Chromosome Uniparental Disomy (UPD) Detection Sep 8, 2010 Oxford Gene Technology (OGT), provider of innovative clinical genetics and diagnostic solutions to advance molecular medicine, has today introduced the groundbreaking CytoSure ISCA UPD 4 x 180k array. OGT Attracts Over 200 Delegates to its aCGH Satellite Meeting at ESHG 2010 Jul 12, 2010 Oxford Gene Technology (OGT), provider of innovative clinical genetics and diagnostic solutions to advance molecular medicine, has announced that over 200 delegates came to its satellite meeting during the recent European Human Genetics Conference (ESHG 2010) in Gothenburg, Sweden. Entitled From disease to cytogenetics research - An integrated CNV analysis platform from OGT, the delegates heard presentations from leading researchers on how OGT's array comparative genomic hybridisation (aCGH) solutions can help advance disease and cytogenetics research. OGT Awarded ISO 9001:2008 for its Management Systems Jun 16, 2010 Oxford Gene Technology (OGT), provider of innovative clinical genetics and diagnostic solutions to advance molecular medicine, today announced that the management system at its Oxford, UK Headquarters has been certified to BS EN ISO 9001:2008 by the British Standards Institution (BSI), one of the world's leading certification bodies. OGT Announces Details of aCGH Satellite Meeting at ESHG 2010 in Sweden May 27, 2010 Oxford Gene Technology (OGT), provider of innovative clinical genetics and diagnostic solutions to advance molecular medicine, has announced the theme and times of its satellite meeting during the European Human Genetics Conference (ESHG) 2010 in Gothenburg, Sweden, June 12-15. Entitled "From disease to cytogenetics research - An integrated CNV analysis platform from OGT", the meeting will take place on Saturday 12 June in Room H1, from 12:00-13:30. OGT Signs Kreatech as Exclusive Distributor for CytoSure in France Mar 22, 2010 Oxford Gene Technology (OGT), the pioneer of microarray-based technologies, has today announced that it has signed an exclusive distribution agreement with Kreatech Diagnostics (Amsterdam, The Netherlands). The deal will enable Kreatech Diagnostics to sell OGT's CytoSureTM products throughout France, providing customers with a comprehensive aCGH solution. OGT Named by Agilent as the First High-Throughput Microarray Certified Service Provider Feb 25, 2010 Following almost two years as an Agilent microarray Certified Service Provider, Oxford Gene Technology (OGT) and Agilent Technologies, Inc. (NYSE: A), today announced that OGT is the first company to be named as a High-Throughput Certified Service Provider (HT CSP) for Agilent microarrays. OGT launches new ISCA-endorsed CytoSure aCGH arrays for detecting disease and syndrome-related aberrations Feb 3, 2010 Oxford Gene Technology (OGT), the pioneer of microarray-based technologies, has introduced three new CytoSureTM ISCA aCGH arrays to meet all resolution, multiplexing and budget requirements. OGT Introduces New Array CGH Interpretation Software Dec 10, 2009 Oxford Gene Technology (OGT), the pioneer of microarray-based technologies, has introduced its new CytoSure™ Interpret software, for faster and easier translation of oligo aCGH data into meaningful results. OGT expands CytoSure aCGH offering with high resolution Duchenne Muscular Dystrophy array Dec 9, 2009 Oxford Gene Technology (OGT), the pioneer of microarray-based technologies, has introduced the high resolution CytoSure™ DMD array. Featuring a 4x44k format and dense probe coverage of the DMD gene region, this new array offers increased confidence in detecting deletions and duplications within the DMD gene.